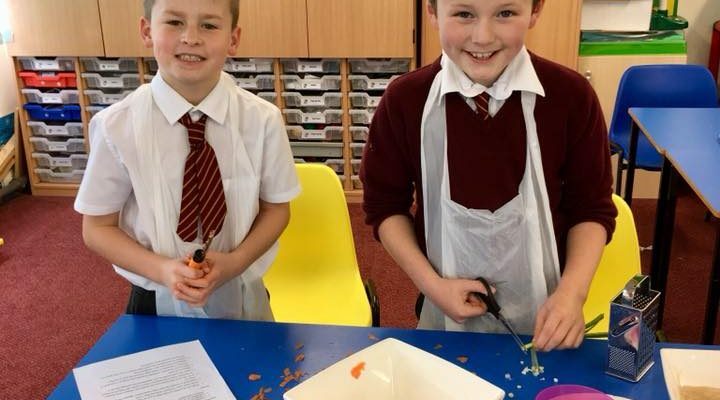 Lindsay ran a program of cooking workshops for the primary 5 pupils of Gardenrose Primary School, Maybole. The children learned about cooking processes and got to try new flavour combinations. The theme of their lessons was ‘Fairtrade’ to tie in with topic work at school.